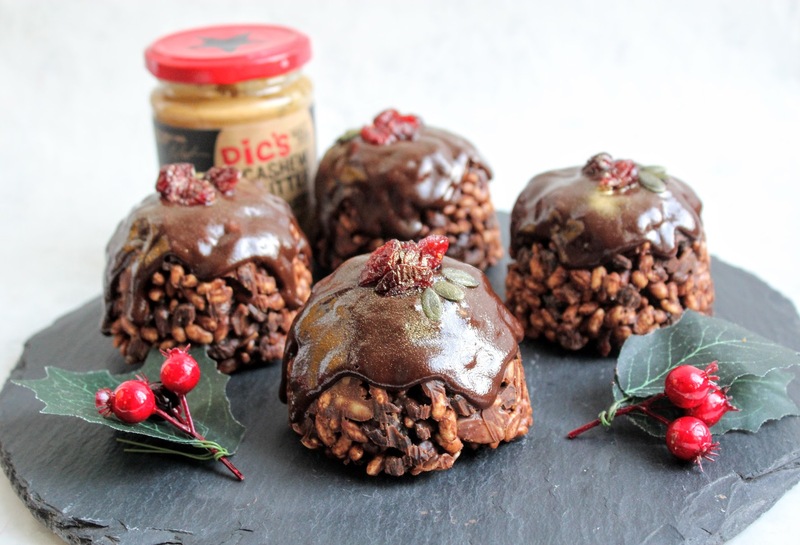 With Christmas only a few weeks away (hard to believe how fast it’s come around) it’s time to start thinking about what treats to make for family and friends if you fancy getting creative in the kitchen. 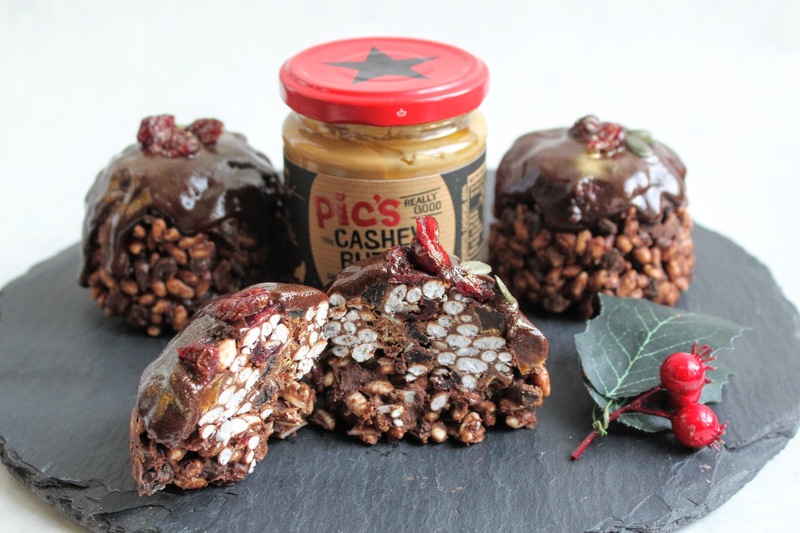 So, working once again with the lovely Pic’s peanut butter, I’ve created these super easy, no bake, make ahead puddings inspired by festive flavours using their smooth, creamy cashew butter. 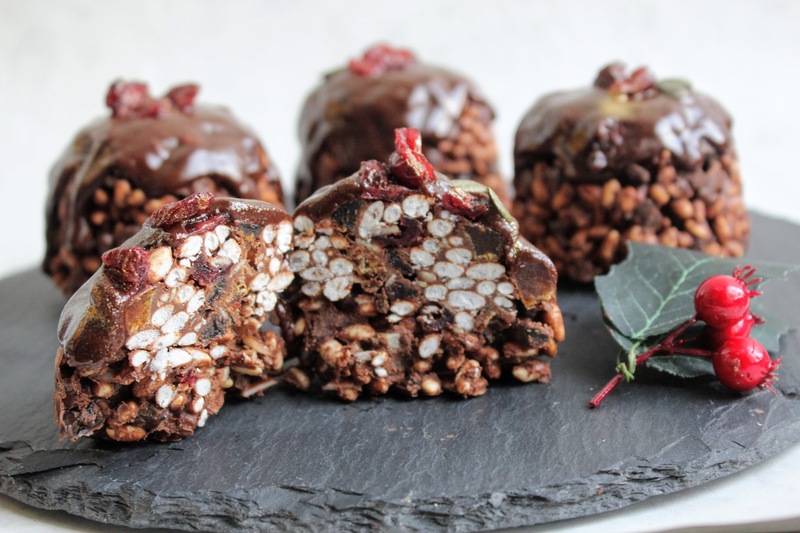 Packed with puffed rice, dried fruits, nuts, seeds, spices and a hint of orange smothered in chocolate, these are based on a ‘rocky road’ type treat but without the dairy, gluten or refined sugar. 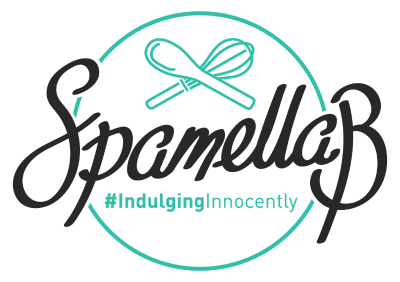 Get them ready and store in the fridge for up to 1 week in advance so there’s no need to worry – just serve them straight away with the finishing touches. I hope you enjoy them as much as I did! Edible glitter for extra sparkle! Gently melt the coconut oil, almond butter, maple syrup/honey and dark chocolate then whisk in the cacao/cocoa powder. Pour this into the dry ingredients and mix well to combine. Line 4 x 150ml pudding tins with clingfilm then spoon some of the mixture into each one to fill to the top, packing it in tightly. Smooth the tops then chill in the fridge for at least 4 hours. Once set, melt the coconut oil, almond butter and maple syrup/honey for the sauce then whisk in the cacao/cocoa powder until smooth. Remove each pudding and place on a wire rack, turning upside down. Spoon over some of the sauce over each and allow to run down the sides. Decorate each with cranberries and pumpkin seeds then return to the fridge for at least 30 minutes. Now you’re ready to serve straight from the fridge!